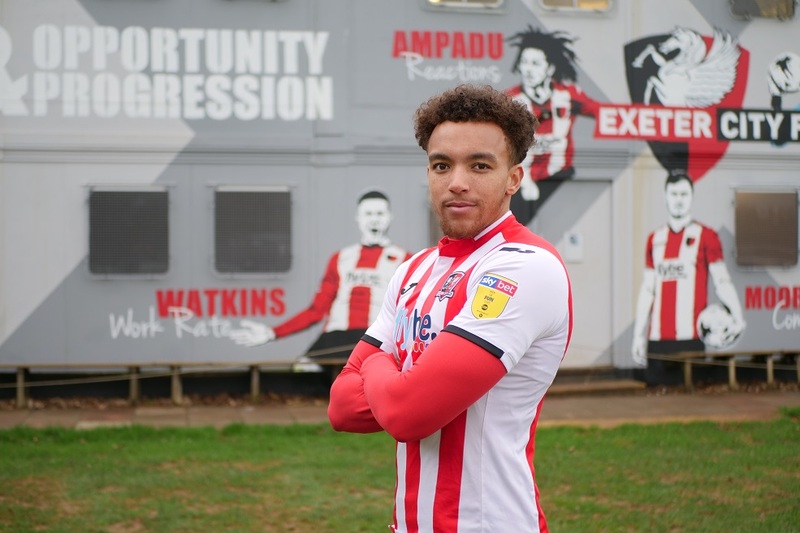 Exeter City’s latest signing Donovan Wilson says he’s delighted to sign for the Grecians until the end of the 2018/19 campaign. Donovan, who has spent time on loan with Spanish side FC Jumilla since August 2018, signs for City from Wolverhampton Wanderers and the youngster is looking forward to getting going with his new club. The 21-year-old said: “I’m really happy to sign. I heard about it yesterday, and as soon as I heard, I wanted to come down straight away. “I know about the history in terms of the young players that the club brings through as a lot of them go on and do well. I know the club like to play football too, which is really good, and that’s why I’m happy to be here. The youngster is looking forward to turning out for the Grecians and is hoping to make an impact at St James Park with his style of play. The youngster, who spent a short time with Port Vale last season on loan, arrives at City fresh from his spell in Spain, and he admits that he has learned a great deal for the experience. “It was a different experience,” said Donovan. “It was good to get out of the country and be away and it was a good learning curve to be playing games, so it went well.